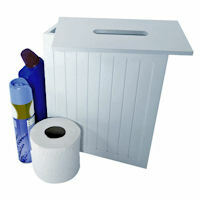 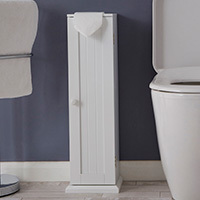 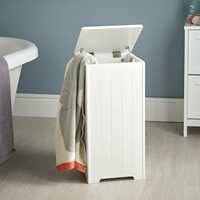 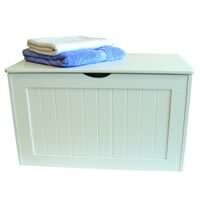 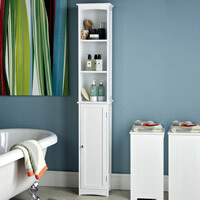 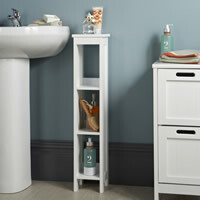 Our slimline wooden shaker style bathroom storage unit in white has proved a real hit here in our Chester shop. 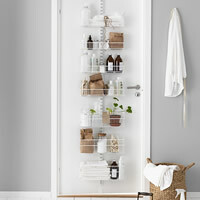 It's clean lines and small footprint mean that it'll fit into even the tightest of tiny bathrooms yet it offers plenty of storage for all those lotions and potions, towels and flannels, loo rolls and cleaning products at the same time. 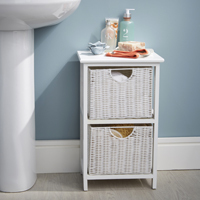 The storage unit comes flat packed but is easily assembled, even our assistant STORE manager Julie could put one up so it can't be too difficult! 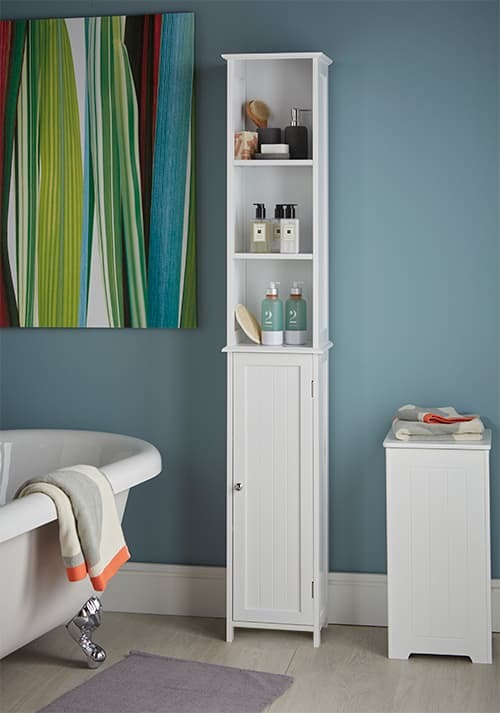 At 172cm high there's plenty of storage space including a shelved open area for those items you want to organise but also need to be quick to hand. 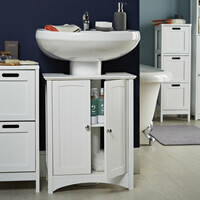 Beneath is a discreet cupboard with a further two shelves to store items you'd prefer not to display.